Everyone warned me about the cold Boston winters. No one ever said anything about the heat! These past three weekends have been unbelievably humid and hot. Talk about expectation violation! It was quite nice for the first weekend, but now it’s getting old, especially since I don’t have AC in my apartment. I was told that this weather is unusual for this time of year. Maybe I brought the Bay Area heat to Boston with me – I just don’t know who dragged in the miserable humidity. This past week was my first week of work. I am loving my job and everything about it – my work, my boss, my coworkers, my office, my building, and even my morning commute! My roommates and I are all settled in the apartment now, so it felt right to start blogging again. Because of work, I try to cook enough for half the week. This means large containers filled with leftovers for days! I’ve been trying to make meals that keep well and are easy to pack for lunch. With that in mind, I decided to make some good pasta. Wine sauces are the best kind of sauces for pasta in my humble opinion. Wine makes everything taste better! For this dish I used madeira wine, which is a type of port. 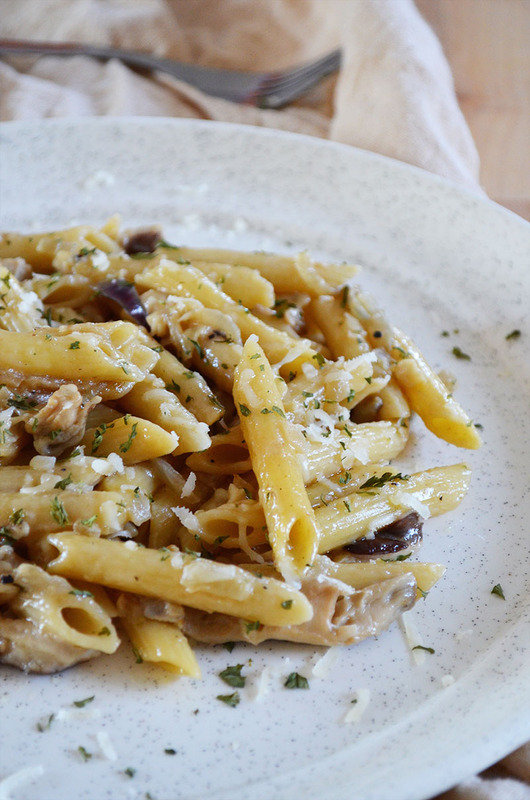 I made a rich pasta dish with a creamy madeira wine sauce, caramelized onions, shiitake mushrooms, and chicken, inspired by Cheesecake Factory’s Pasta Da Vinci. It’s incredibly easy to make and yields a lot, so it’s perfect for those busy weeks! 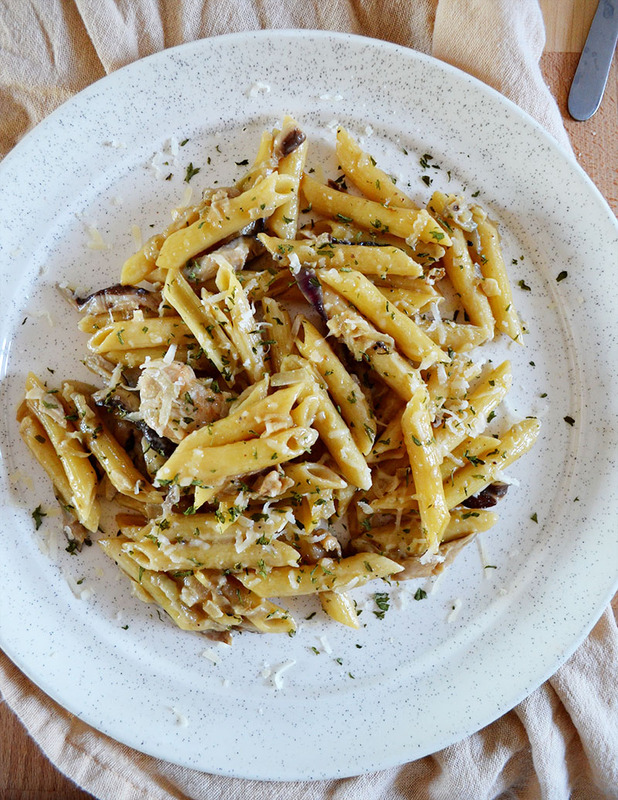 I can eat this pasta dish for days…and I will! Cook the penne according to the directions on the box (don't forget to season the water with some salt), then set it aside. In a large saute pan, heat up the olive oil over medium heat. Add the onions and cook them until they are caramelized, about 10 minutes. Add the garlic and mushrooms and season with some salt and pepper. Cook for another 3 minutes. Remove the onions, garlic, and mushrooms from the pan, but leave the pan over the heat, then set aside. Add the chicken into the saute pan, season with some salt and pepper, then cook until no longer pink, about 4-6 minutes. Leaving the pan over the heat, plate the chicken with the onions, garlic, and mushrooms, then set aside. Melt the butter in the saute pan, then whisk in the flour. Cook for 2 minutes, then add the wine. Bring to a boil and constantly stir for 10 minutes, until the alcohol is evaporated. 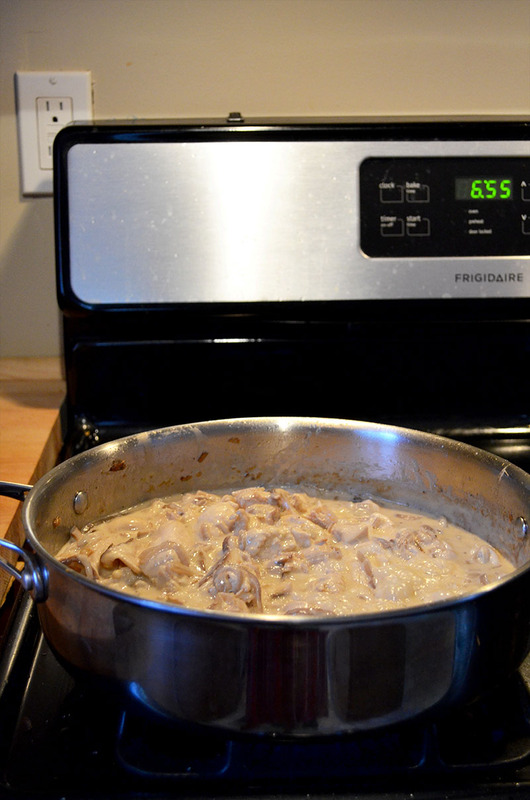 Stir in the heavy cream, season with some salt and pepper, then let it simmer for 1 minute. Add the penne and return the chicken, onions, garlic, and mushrooms to the sauce. Cook for 3 more minutes. Sprinkle the parmigiano reggiano and parsley over the top, then serve immediately. 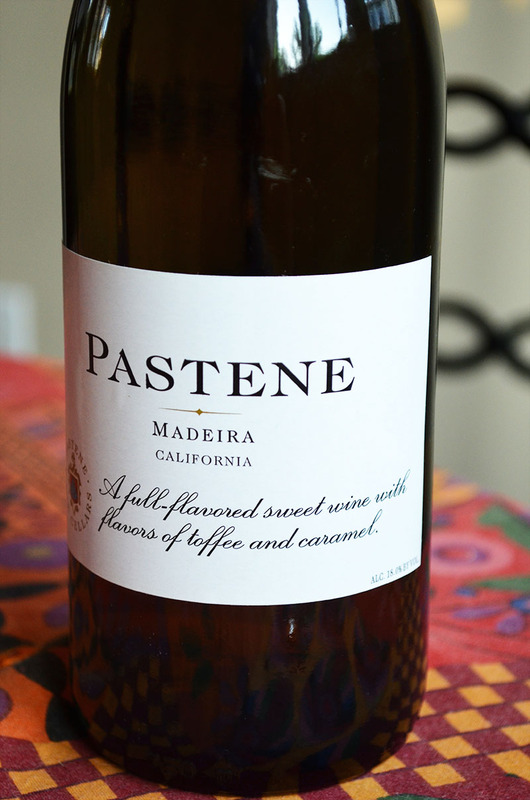 This entry was posted in Entrees and tagged chicken, Madeira, pasta, shiitake mushrooms, wine. I LOVE cook-ahead food that work for lunch and dinner (I cook in bulk too!). This pasta looks delicious and I love the use of shittake mushrooms. Also humidity 🙁 only way to beat it is to go to places with A/C (grocery store). 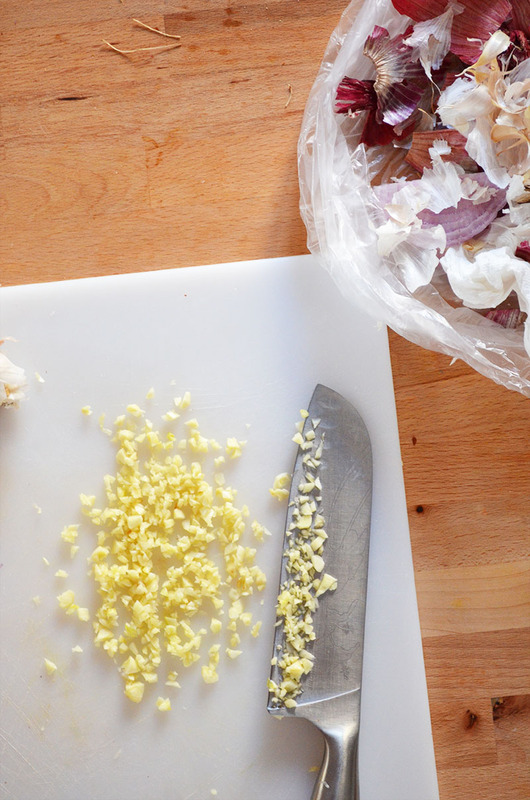 What are your favorite things to make in bulk? I am in need of some inspiration! I have so much fun at the grocery store! I really could hang out there for hours to stay cool (: Fortunately it’s beginning to cool down here! Such a good looking pasta dish! 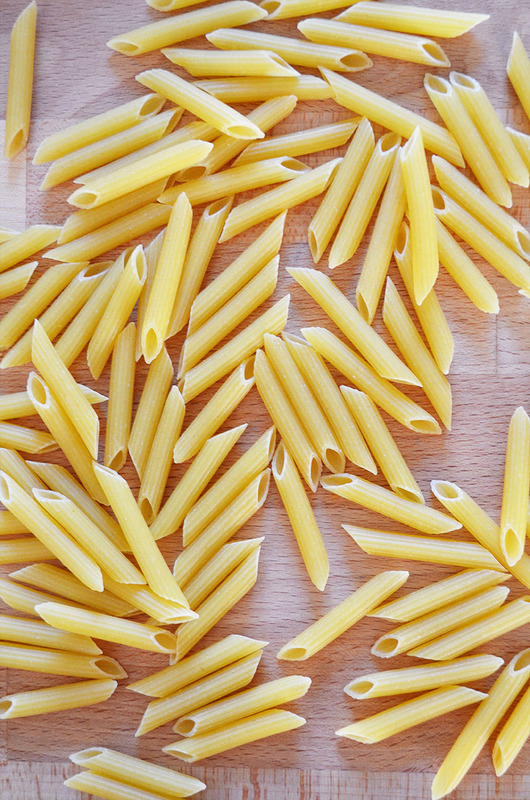 I love that photo of the dried pasta! And I hear ya on the humidity and heat – I cannot wait for it to go away! 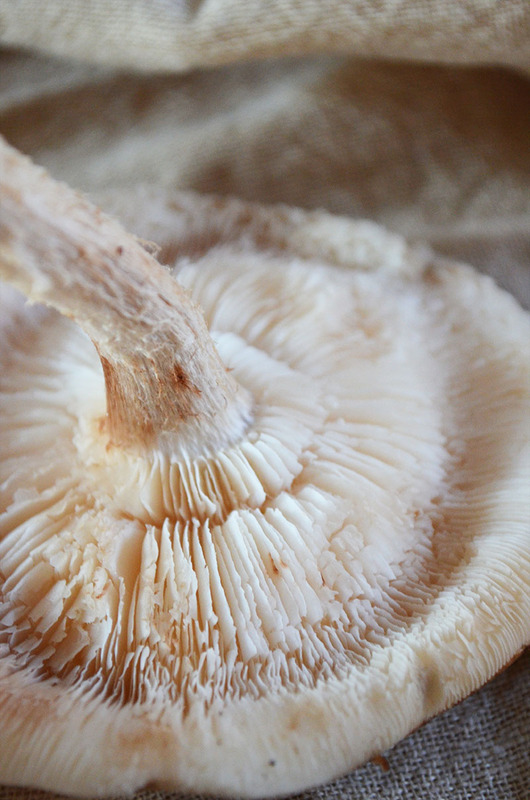 I soak the mushrooms for 1 hour in warm water then drained. Fresh would be ideal but in the US during the winter this is a great alternative. I also increase the wine to a half a cup and added a hint of grated nutmeg.